and Jim's uncle Kermit Hutchinson served as our President 1967-1969. Spending the winter in sunny Florida? 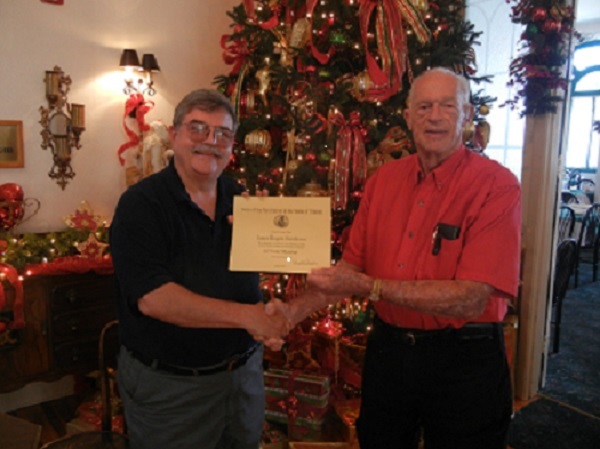 Join us for a Central Florida SR Winter Encampment Mess during December, January, February, and March. All SRs and members of other Lineage Societies in the Great Lakes Region are invited along with family, friends, guests & prospective members. We gather at the Band Stand on East Main Street in downtown Avon Park at 10:30 to greet Lineage Society members and friends; and then at 11:00 we march (across the street) to the Hotel Jacaranda. Some of the ladies have been known to sit in the Hotel Jacaranda Lobby until we arrive. If it's raining or cold we've been known to join them inside (in foul weather it is much preferred to a outdoor band stand in the park). Some of our ancestors spent a winter in encampment at Valley Forge so we all now enjoy the freedoms they fought for with some fellowship at our winter encampments across Central Florida. All Great Lake Lineage Society members are invited. Questions? Expect me there! March gather at 10:00 a.m.
Michael J. Kasper Honorable Lewis V. Morgan, Jr.
General Vice President Robert D. Rati (with Espontoon) shown in a recent photo with his guards: Alan Teller, Indiana Color Guard; Colonel Charles F. Bragg, Ph.D., Indiana Guard Reserves; & Dr. Donald E. Gradeless, Ph.D., Indiana Parade Guard). 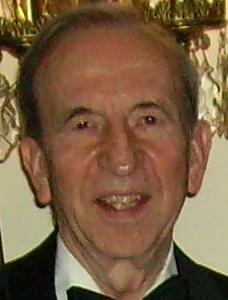 SR-Illinois Past President Robert D. Rati was elected to the office of General Vice President - Region V at the 40th Triennial Meeting of the General Society Sons of the Revolution in Glendale, California on September 26, 2009. General Vice President Rati's term a General Vice President of Region V is for three years: 2009-2012. VPG Rati have been a leader for over 30 years with the Sons of the Revolution, joining the SR-Illinois for purposes of establishing the SR-Wisconsin where he served as an organizing officer when the SR-Wisconsin was admitted to the General Society in 1979. 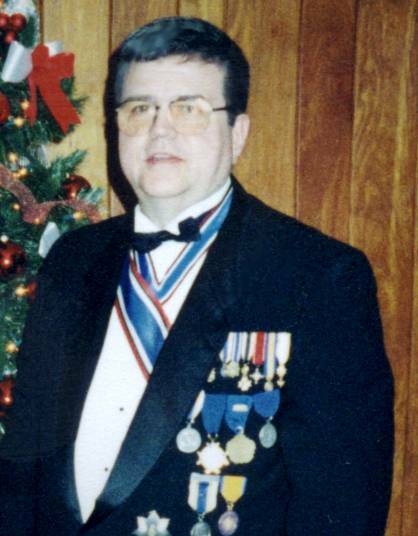 VPG Rati served several offices in the SR-IL, representing the SR-IL as a delegate for many years to the General Society and as the SR-Illinois President. Under President Rati the SR-Illinois helped establish the SR-Michigan. VPG Rati was one of the organizing officers and responsible for establishing the SR-Indiana which was admitted to the General Society in 2006. VPG Rati is currently serving as President of the SR-Indiana. VPG Rati work has been instrumental in four Great Lake SR Societies in Region V and will build on the efforts oF past PVPG Donald Gradeless, Chuck Royer, & Jack Wilson in reestablishing the SR presence in the State of Ohio. You are invited to the next SR-IL meeting. Please contact an Officer for location. Reservations for Luncheons are required. Sep 17 North Shore Club Meeting & Luncheon. Jun 18 Sheraton Executive Suites - Meeting & Luncheon. Sep 18 Sheraton Executive Suites - Meeting & Luncheon. 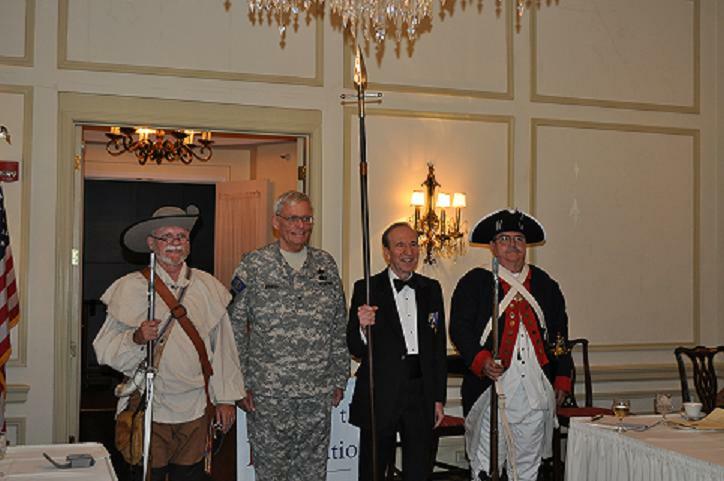 Sep 13 Adam's Mark Hotel Luncheon - Steve Quick, WWI reenactor. Mar 15 Barn of Barrington -Prof. Andrew Shankman - Was the American Revolution Inevitable? Sep 14 Sheraton Suites-Elk Grove - Prof. Reginald Horsman "War of 1812 - Life in Dartmoor Prison"
Jun 22 North Shore Country Club - Prof. Ralph Keen, "American Religion: Colonial vs. Federal Ideals"
Mar 23 LaGrange Country Club - Tim Hess - his role as a British Officer in Butler's Rangers. Sept 15 Sheraton Executive Suites - Capt Edward W. Gantt, Commanding Officer Great Lakes Naval Base. took part in "The Great Escape"; during World War II, as American Air Force POWs in Germany. Mar 17 Luncheon Mr. Jay Lehr, scientist, and author - Science and Environmental Issues. Dec 2 The Town Criers of Elk Grove High School at the Millemium Meeting—Union League Club. Click for photographs - Takes while to load but worth the wait! His topic was "The Young Abraham Lincoln — From Kentucky to Illinois"
was the speaker for the past March 20, 1998 meeting at LaGrange Country Club. The topic was: "Chicago and the Civil War"
was the featured speaker at the 1998 Annual meeting held at the Tower Club, Chicago. was the featured speaker at the September 1998 meeting held in Rolling Meadows. Please Email the Registrar for membership information and application forms. What's the difference between the SR and the SAR? Use this as a worksheet for any lineage society. I have documented my lineage to a revolutionary soldier. Membership inquiries should be directed to the Registrar. General inquiries should be directed to the Secretary. to the Registrar for review before submission. NEW! — Traditional Application Forms in PDF — NEW! For use with your typewriter. Jas. Townsend & Son, Inc. Home Page — Lots of neat stuff.